Awakening Our blend of 100% pure essential oils including lavender relaxes the body, quiets the mind and calms the spirit. Use it at home, in your car, at the gym, and at the office. 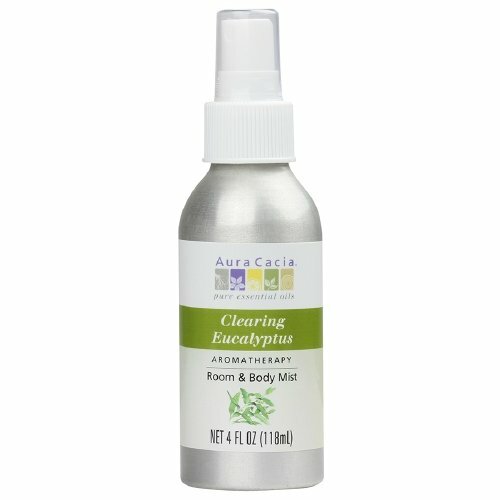 Like breathing in the green-scented air of a shady grove of eucalyptus trees after a cleansing rain shower, Aura Cacia® Eucalyptus Harvest Mist will awaken the senses, protect the body and elevate the spirit.